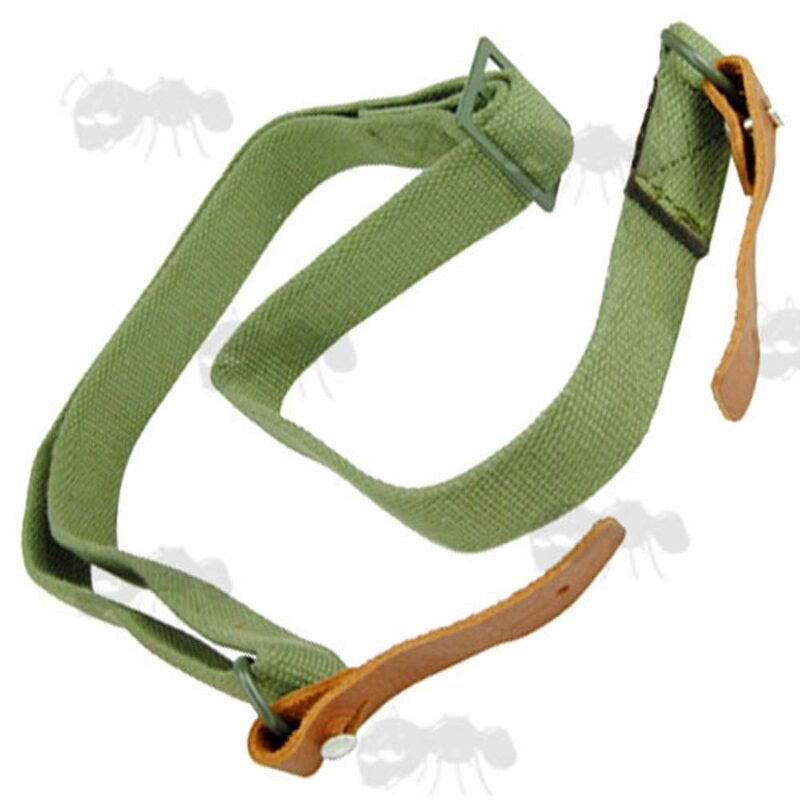 Also available ~ SVD rifle slings. 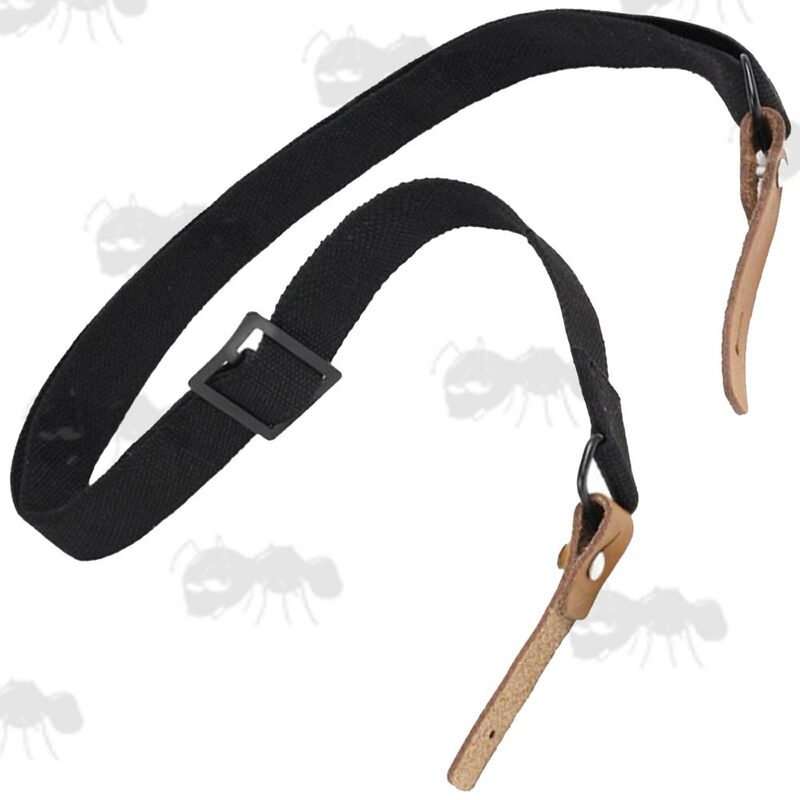 New AK assault rifle sling. 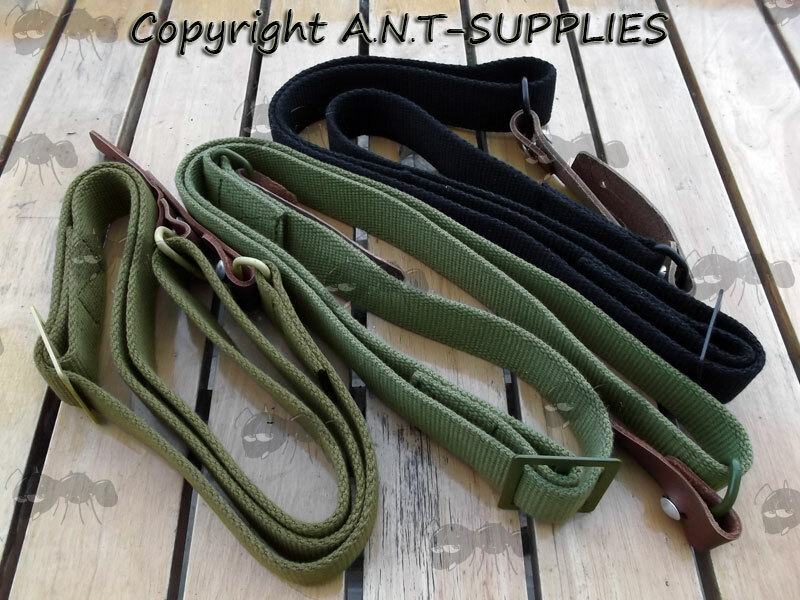 Thick, 28mm wide canvas with 19mm wide leather tab fittings. 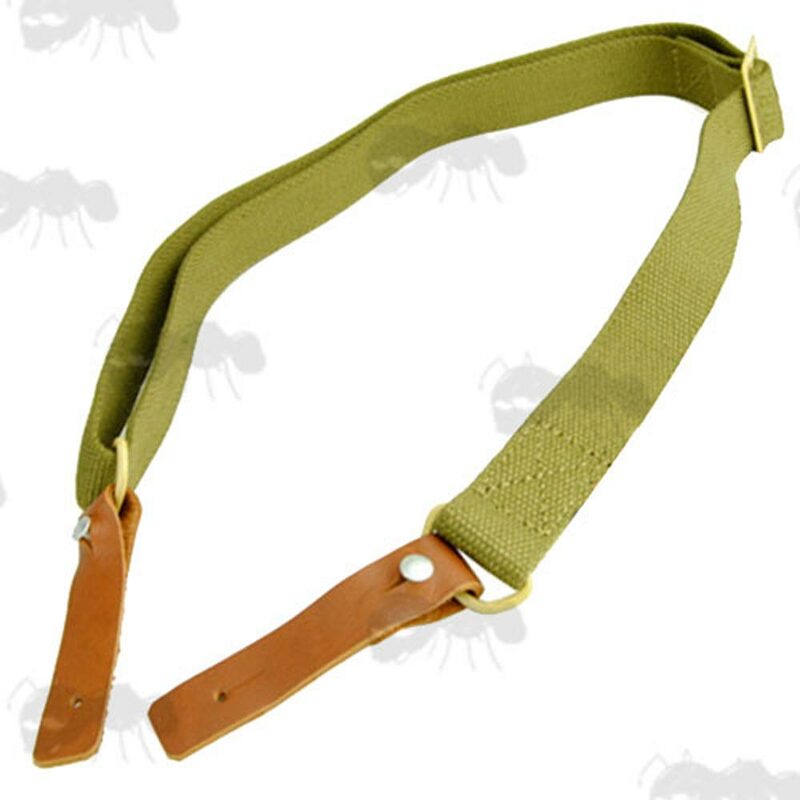 The strap can be adjusted from 68cm up to 117cm long with the metal tri-glide buckle.